Our escape rooms in Fort Collins provide an incredible opportunity for your corporate team to get outside the normal and have fun. Not only is this a great activity that everyone can enjoy, but it’s also the perfect way to grow as a team. Your team will appreciate an escape puzzle much more than a typical, awkward team building game to break the ice. Not to mention that our escape rooms are puzzles at a whole new level, with high-tech features like moving automation, sensors, and other items you won’t find in generic escape rooms. Perhaps you have new members on the corporate team that you do not know very well. Or, maybe you’ve all worked together for a long time. Whatever the case is for your group, an escape room is an excellent way to learn about the strengths and weaknesses of each team member. Each member may shine in a different area of skills or characteristics. Some of the strengths you may see include strength in leadership, time management, diligent focus, perseverance under pressure and hardship, determination to solve problems, and the ability to handle stress. Some may be better at taking charge while others know how to offer critical support in other ways. You might find that certain individuals handle conflict better than others. Other team members have a strong point in problem-solving. Therefore, an escape room can help you better understand how each of your teammates can each contribute their strengths for success. We all know communication is key to the health of any relationship, and your corporate team is no exception. Our escape rooms in Fort Collins can help your team learn to communicate beyond their typical phone calls and emails in the office. Members will be encouraged to listen to one another. They will also learn how to express their ideas effectively, and learn how to talk through solving problems together. Not only are they communicating in person, but they are also learning how to communicate under the pressure of a deadline. Puzzle rooms are perfect for team building because your group learns how to work together to set common goals and meet them. Having a common objective bonds people together in a unique way. To succeed, your corporate team has to agree on what the end goals are and then meet them under the pressure of a time limit. Critical thinking and logic, I’m sure we could all agree these two things will be invaluable in the workplace. As your team works to escape the room, they’re learning how to reason through clues and think through problems. Each team member can contribute and bring to the table something others had not considered. A team building activity like this encourages each person to remain engaged and focused. There’s something about tackling a problem and solving it together that boosts our morale, not just as individuals but also as a team. 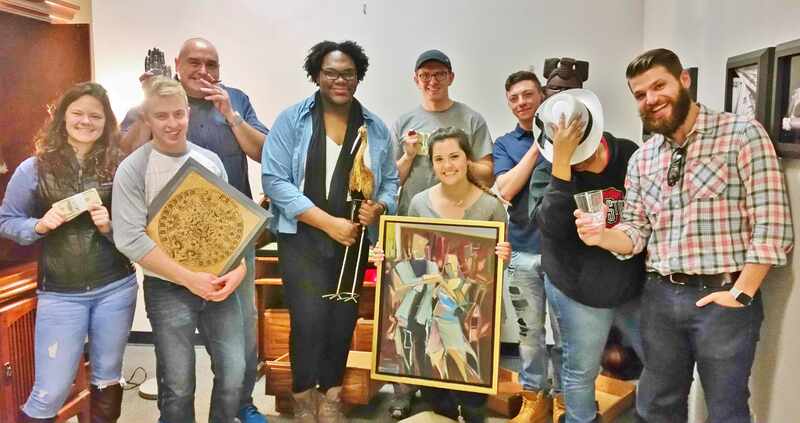 Being able to solve an escape room puzzle can help boost your team’s confidence in their ability to work together and each member’s ability to contribute value. Your team can walk away feeling a greater motivation and readiness to be productive together at the office. We’d love for you to come to discover the strengths in your team by trying one of our high-tech escape rooms. Visit us at escape.place to learn more or call us at 970-226-3843. I was blown away by this place. By far the best escape room I have ever been to, with the coolest technology and the craziest puzzles. This is EXACTLY what I was looking for in an escape room. Different in every way from others that I have done. Great escape room with plenty of challenge. Allows large groups. The tech is a cut above the rest. A great team building exercise for the family. We had ages 5 to 50 and had a great time. So much fun, worth the drive from Wyoming! No old lock and key, it was a modern room as if in a real bank. Contraptions has set the bar insanely high. I’ve been to many escape rooms, and this definitely fits the top ten rooms I’ve visited, ever. Most unique rooms in town. We didn’t want to leave! We will be reminiscing the clues for days! Best way to spend an evening in Fort Collins!